The aim of 360 Payments is to change the fabric of the payments industry by partnering with customers to provide honest and streamlined payment solutions. 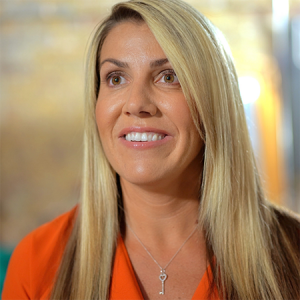 We chatted to Lisa Coyle, Co-CEO of 360 Payments, to find out how her customer-centric approach has helped to drive her success. The mission of 360 Payments is to remove the stigma of credit card processing by delivering honest and pain-free payments. Lisa explains that the idea came to life in 2011 when she and her business partner were only 24 and 26. Trust and long-lasting relationships are integral to scalable sales success. Solid customer relationships not only generate more sustainable revenue but also serve to bolster your reputation and establish your business as a powerful and successful player in the market. It seems that ambition and resilience were written into Lisa’s DNA. From a young age, Lisa was enterprising and always pushing herself to work harder and do better. It is perhaps no surprise then that 360 Payments is growing fast. The company has been selected for the Inc. 5000 list of the fastest growing businesses in America for the fourth year in a row and has now opened operations in California, Utah and Oklahoma. While persistence and competitiveness are undoubtedly key attributes for any successful business leader, it’s Lisa’s compassion and genuine interest in others that has truly made her, and her business, unstoppable. Of course, confidence in her own product is integral to her success, but she considers this to be secondary to her customers. Customer-centricity runs through the veins of everything 360 Payments does. Lisa takes a real interest in her customers and how she can make their business and their life better.